The 120 film format is used for still photography. 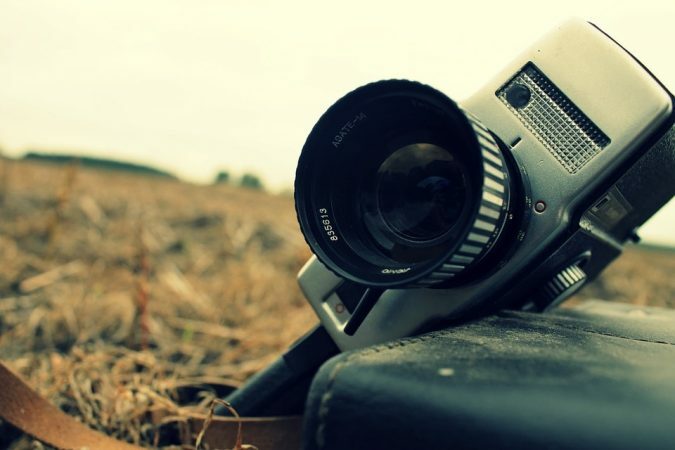 It was made popular by Kodak in 1901 for its “Brownie No. 2” camera. The Brownie is a trademark for a wide variety of Kodak cameras. Photographers use a 120 film scanner to scan their photographic shots directly into a computer. Some call the 120 film a medium format film and it is still readily available today for both professional photographers and hobbyists. Here are five of the best film scanners that are great for digitizing a 120 film. What is a 120 Film? 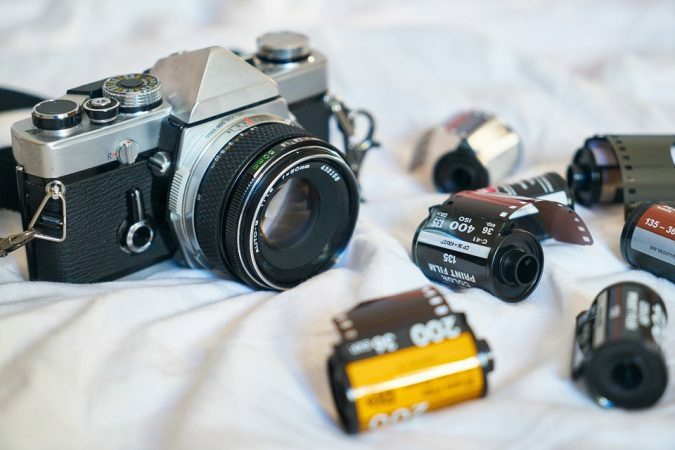 A 120 film is a typical roll film format. It was called 120 because it is bigger than the 35mm film but smaller than a sheet film so the term medium format is often used interchangeably. But do not confuse the 120 film with being 120mm in size. It comes wrapped around a spool which was originally made of wood. Later, manufacturers made spools out of metal and finally, plastic. A spool of 120 film can yield up to 16 images, depending on the type of camera and film masks that you use. The film is always lightly wrapped in paper before you insert it into a camera or film back. This paper backing is blackened on one side so that it’s completely opaque. It used to have a red window that you can see from the camera back for exposure counting in the previous designs. This type of film requires some special care because it needs to be processed and printed with some professional equipment. It was originally intended for amateurs and hobbyists and as it grew in popularity, it became the main format for box cameras. You can come up with several image formats using a 120 film. The most common format used with a 120 is the 6 x 6 or a 56 x 56mm square. There are also rectangular formats or full-frame formats, the sizes of which will be displayed on the table below. Kenrockwell has a guide here but we breakdown the data through table for better understanding. Above are only the typical frame sizes and the actual sizes may vary slightly depending on the cameras used. 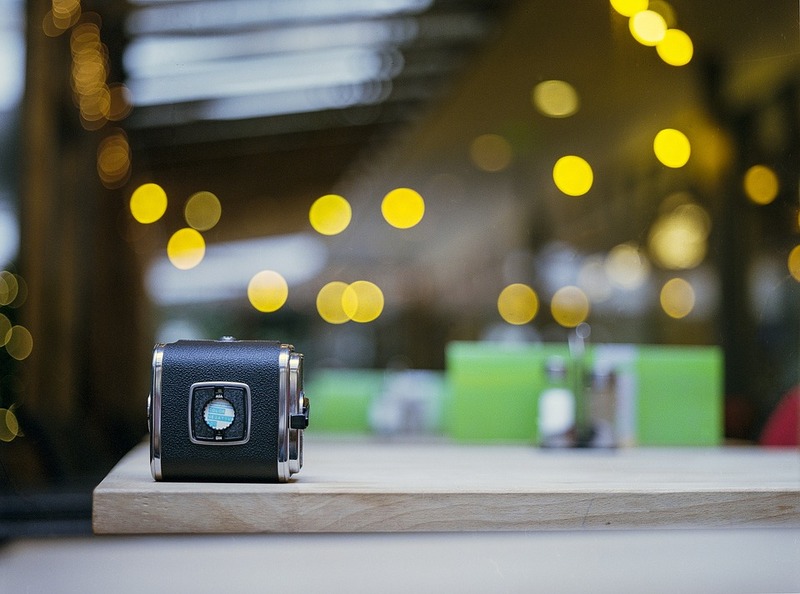 There are also special panoramic cameras that could produce a frame of 6 x 12cm or wider. The 120, along with other medium format films, has been widely used by professionals and amateur enthusiasts alike and it has become a lot more popular than larger format films. Today, there is a wide range of medium format films from 120 to 220 sizes. When compared to a 220 film which is another medium format film, the 220 offers more frames than the 120. 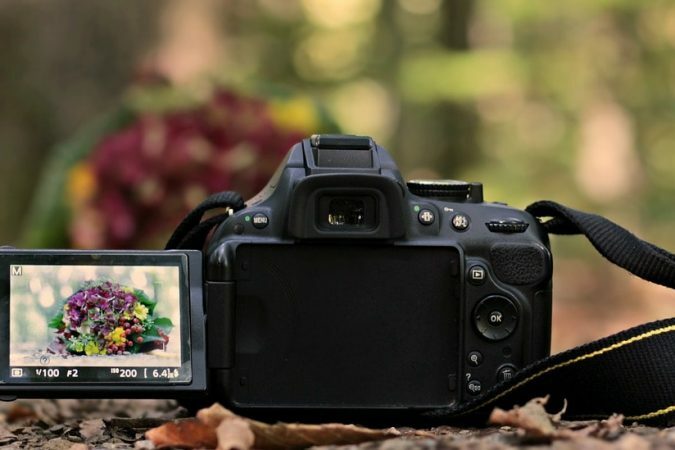 The 220 can produce up to 24 square images while a 120 can only produce 12 on a 6×6 format, though it would really depend on the size of image the photographer takes. Another alternative to the 120 is the 620 format which is essentially the same film except it’s wrapped on a metal spool that is a lot thinner. There are many advantages to using a medium format or a 120 film format and this is why some photographers stick to it. It produces sharper images and you have the ability to choose the shape of the frame. But you may still want to digitize it. If you want to convert a 120 film to a digital format on your own, you would have to use a 120 film scanner. 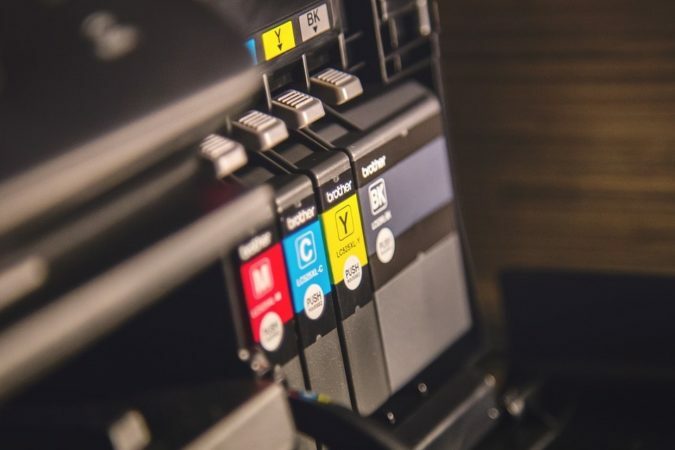 Of course, there is always the option to send it to a professional lab but if you want to process and digitize your own films, there are ways to do so. Some photography enthusiasts simply use an ordinary flatbed scanner to convert their 120 shots to digital format. It is a cheaper alternative however the quality is not as great when compared to a film scanned in a specialized film scanner which is sometimes called a slide scanner. Using a flatbed scanner has lots of limitations. It captures reflected light instead of illuminating the film from behind and the resolution would be greatly reduced. You can improve the scan quality using a DIY cardboard adapter but it is still best to use a specialized film scanner. The CanoScan 9000F Mark II by Canon is a flatbed scanner that includes a versatile transparency adapter which greatly improves the quality of the digitized photos compared to an ordinary flatbed scanner. This scanner can handle slides, negatives, along with 120 and other medium format films. The CanoScan 9000F Mark II allows you to efficiently scan not only your photos but also your documents and even a 35mm film with great quality output. It is a high-speed scanner with a 9600 x 9600 maximum color dpi or dots per inches. View your documents and photographs in incredible details. It also comes with a compatible software called My Image Garden so you can easily organize your files. 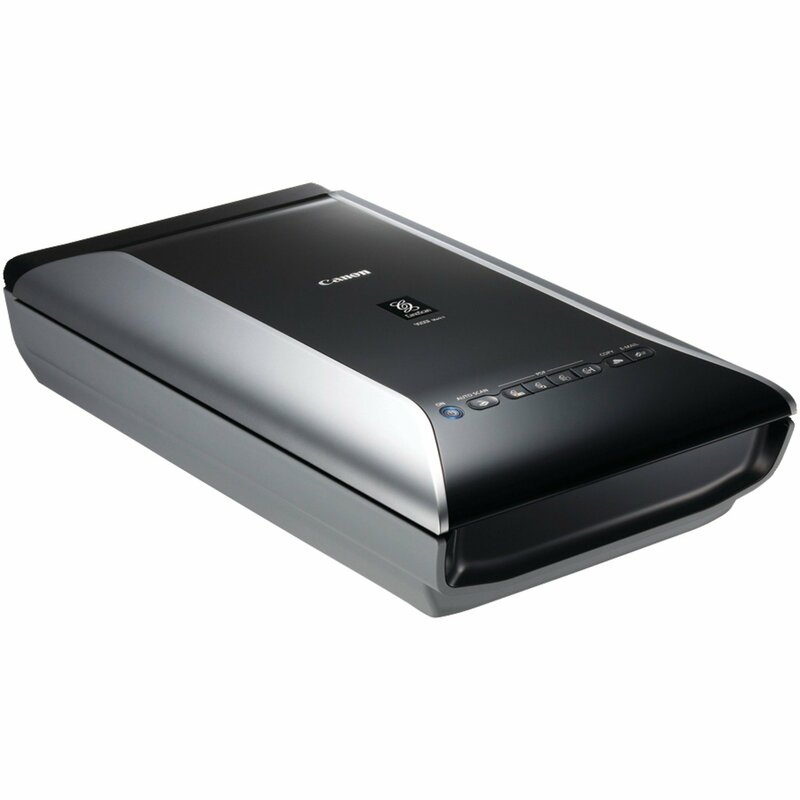 This scanner delivers pin-sharp scans and low-noise images. It does not require any warm-up time and has very low power consumption because it uses highly efficient LEDs. It also features dust and scratch removal for your scanned photos along with other correctional features. Its superb scanning resolution combined with a 48-bit color depth results in astounding output. You can even enhance the brilliance with the 19200 x 19200 scans. The controls are easy to understand and even beginners can use the scanner with no problem because of the Auto Scan mode which automatically adjusts the settings for you as you scan your films. 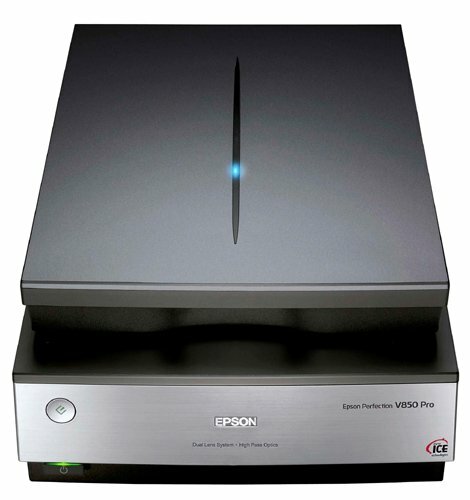 The Epson Perfection V800 Photo Color Scanner is a flatbed scanner but expertly functions as a film scanner. It can handle positive films and negatives including slides. The scanner can accommodate various sizes from 35mm to larger ones like 8 x 10 and medium format film up to 6 x 20 cm. It is suitable for serious photographers who are after high-quality scans. It features a 6400 ppi or pixel per inch optical resolution and has the ability to detect small changes in shading. That along with duel-lens scanning means greater details in the output. You can get precise color and detail using the Epson Perfection V800. It features the Digital ICE Technologies that allows you to remove dust, scratches and other defects on your film. This could greatly minimize retouching which can be quite costly. For scanning 120 films, this scanner includes film holder up to 6 x 20 cm. The scanner includes a powerful software called the LaserSoft Imaging SilverFast SE which lets you play with the image aspects and control highlights and shadows. You can tweak the gradations, sharpen, descreen, and descale your photos. Another great thing you can do is you can restore faded color photos and bring them back to their original brilliance. All these is possibly with just one click using the Easy Photo Fix feature. The scanner also offers backlight correction to further improve the photo quality. The set includes film holders that are adjustable in height so you can scan different film formats. They can accommodate 35mm mounted slides and medium format strips. 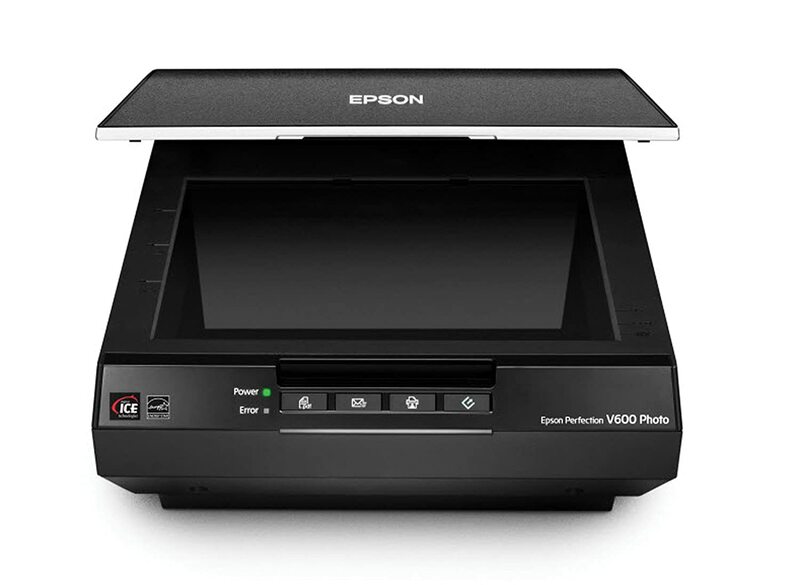 The Epson Perfection V600 offers great quality photo scans. It is a versatile scanner that is suitable for home and office use, and even in photo studios. This is a much more affordable alternative that can be used in a professional level. It is easy to set up and once you plug it in, you can start scanning right away. The software is compatible with both Mac and Windows PC. The great thing about this scanner is that it already includes Adobe Photoshop Elements and another complimentary photo editing application. With the Epson Perfection V600, you can create great quality enlargements from film with a 6400 x 9600 dpi resolution up to 17 x 22 inches. It can scan slides, negatives, and medium format films up to 6 x 22 cm, including panoramic formats. The Digital ICE feature lets you improve the photo quality and remove tears and creases which means you can scan damaged photos and restore them to their original state. It also features dust and scratch removal from film. Aside from providing exceptional quality scans from photos, the Epson Perfection V600 also lets you scan everyday documents so this is a great investment for a home office. It can scan everything from invoices to photos and 3D objects. There is a one-touch color restoration program called Arcsoft Photostudio which provides a complete photo restoration for photos that have had color imperfections. You can also convert scanned documents into text that you can edit using word processors. The scanner features customizable buttons so you can instantly scan, copy, and even create PDFs or send your scans directly to email. 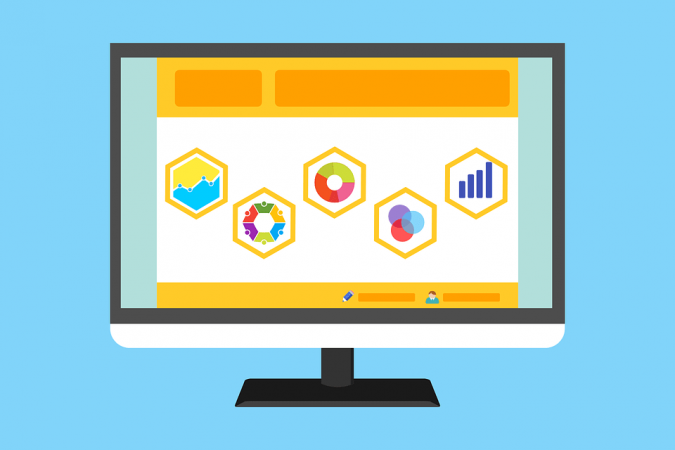 These features could greatly increase your productivity not only on your photo projects but also for general business use. If you are an advanced user and do not want to use the fully automatic settings, the scanner also gives you the option to have full manual control. This gives you more freedom to tweak the settings and adjust different aspects of your photo scans. Using the full auto mode, however, allows beginners to simply hit a scan button and the program would analyze and apply the appropriate settings depending on what the scanner sees. The professional mode allows for sophisticated options like tonal adjustments. You can even restore colors on faded originals and use a backlight correction to quickly fix photos with dark images against a bright background. The Plustek OpticFilm 120 Film Scanner is a full-featured scanner that is especially great with 120 film formats. It features great hardware and excellent quality results. The scanner includes the LaserSoft Imaging SilverFast Ai to further enhance your photo scans. 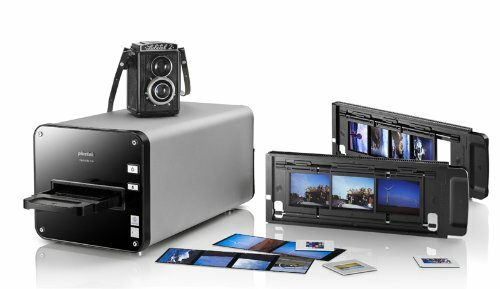 The scanner delivers professional image quality from 35mm film strips, slides, and 120 along with other medium-format films. It is suitable for professional photographers as well as serious enthusiasts. It is also a good choice for photography students. This scanner supports 6×4.5 cm up to 6×12 cm format for 120 film scanning. Scanning is very simple with the Plustek OpticFilm 120 Film Scanner. You would have seven carriers to hold film and slides and one that is specifically designed for two film sizes. The medium format or 120 film carrier can hold a maximum of 4 images, depending on the size. You simply mount the slides or film in the appropriate carrier and turn on the scanner. The SilverFast software lets you preview the slide or frame and allows you to make quick changes on the scan settings before it scans away. The scanning speed is fast and it can scan a 490 ppi slide in about 40 seconds. To make the Plustek OpticFilm 120 Film Scanner even more versatile, you can make use of a 3rd party scan utility that gives you more options to enhance your scans. Though this model is more on the expensive side, there is a big difference on the quality of the results. Most importantly, it has features that are specifically designed for scanning 120 film formats. 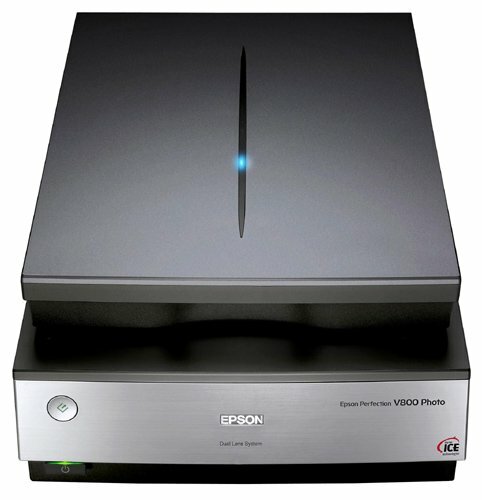 The Epson Perfection V850 Pro Photo Scanner is designed for professional photographers and also for serious photography enthusiasts. It provides one of the best possible scan quality. It’s a bit on the expensive side but the results are tremendously better than less expensive scanners. This is a scanner that would satisfy the perfectionist photographers out there. It is a USB-connected scanner and is a bit bigger than most models. It is a full-featured scanner but its focus is on film scanning. The scanner comes with 2 sets of 4 film holders that can be used for a variety of film formats. 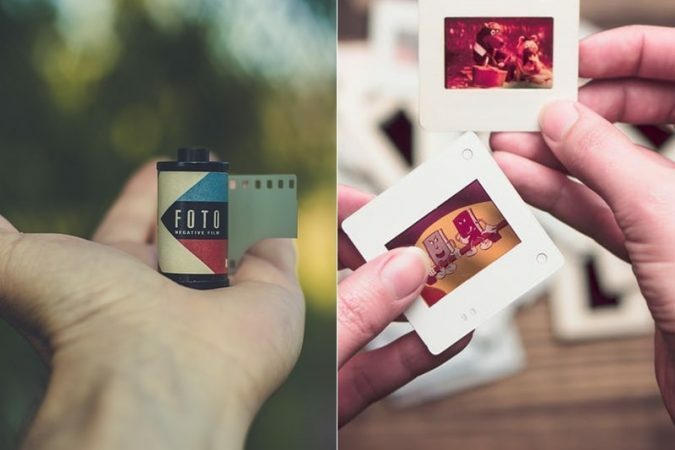 It can handle 35mm slides, 35mm strips of film, and 120 film formats up to 6 x 20 cm along with 220 film formats. It is simple to use. Simply put the slides or film in the designated holder and place it correctly on the flatbed. You can also use the Film Area Guide to help you position the film properly. Its scan quality is impressive even on higher resolutions and the dynamic range is excellent. The Digital ICE feature performs an excellent job at digitally removing dust and scratches on both prints and film. It also removes scratches from scanned prints. It has an efficient scanning speed, scanning one frame of film in about 30 seconds at a 2400 ppi. This speed is remarkably superior to other scanners because you can scan multiple slides in batches as well as negatives, medium format films and even large format films, with the included two sets of film holders. It has a remarkable tonal range with 4.0 Dmax so you get smooth gradations and fine shadow details. Like other Epson scanners, it also has the dual lens system which can further enhance results. Another great feature is the advanced optics that apply a high-resolution mirror and anti-reflective coatings so you get minimal distortion on your photo scans. On the other hand, the film holder for the 120 film format could be improved and requires several adjustment to position the film. Copyright Flowing Prints 2018 All Rights Reserved.